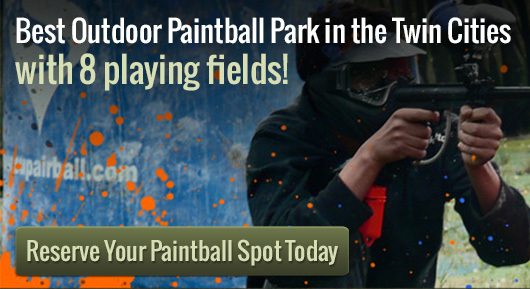 Compressed Air Paintball is an action-packed, fast-paced sport that can be enjoyed by almost anyone. Some things may be confusing to the new player–especially the use of carbon dioxide tanks versus compressed air paintball tanks. To understand a paintball marker for functional purposes is not difficult. A propellant–in the form of either a carbon dioxide or compressed air paintball tank–is attached to the marker. This propellant acts to power the marker’s firing itself, as well as the return of the bolt to its original place–which loads the subsequent shot. Compressed air is a much better propellant than carbon dioxide in virtually every way–providing many very noticeable improvements in gun functionality. Compressed air is much less harsh than carbon dioxide–as well as safer. The tanks used to fill carbon dioxide are very large, very pressurized, and require professional assistance to use. On the other hand, a marker requires a much lower pressure to run off of a compressed air paintball tank–not only making compressed air safer, but also much more efficient for the marker. This lower pressure is very important, and is one of the main reasons compressed air outperforms carbon dioxide every single time. First of all, because lower pressure is being used the amount of shots one will get per tank fill is much, much higher. This is also a byproduct of the increased consistency in pressure used per shot that compressed air affords. This consistency is natural–generally, using carbon dioxide as a propellant requires about 800 psi, while compressed air rarely runs above 180-200 psi. This puts less strain on the air regulators within the marker itself, the compressed air tank, as well as less pressure on paintballs themselves–this will reflect itself with better accuracy, a more consistent FPS measurement (to measure the speed of the ball), as well as less broken paintballs. As a whole, although a tank may be a bit more expensive, compressed air is always preferred to carbon dioxide when running a paintball marker.